the music industry of late. He was one of the hottest music stars in Nigeria and his song “My Car” paved way for his success in the music industry and gained him global acclaim. 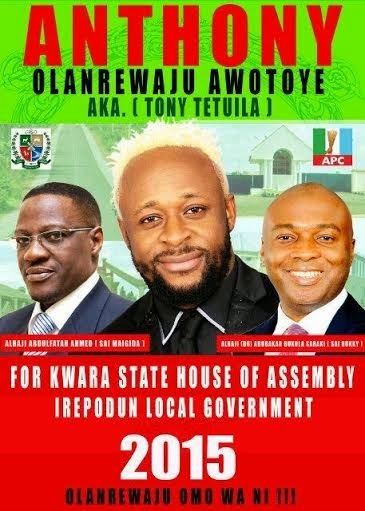 Tetuila joins the likes of Nigerian artist, 9ice, and Nollywood stars Julius Agwu, Kate Henshaw, and Desmond Elliot who have announced their interest in political positions ahead of the 2015 elections.